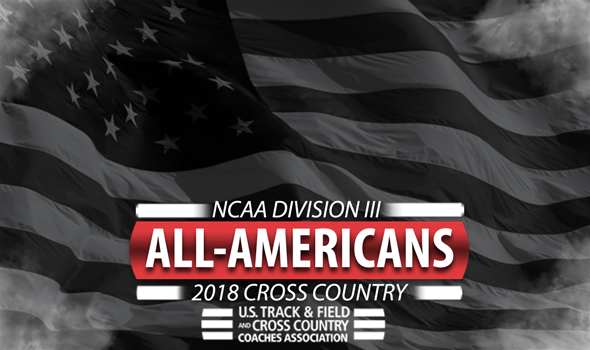 NEW ORLEANS – All-Americans for the 2018 NCAA Division III Cross Country season were announced Monday by the U.S. Track & Field and Cross Country Coaches Association (USTFCCCA). Athletes of member institutions who finished in the top-40 of their respective races this past weekend at the NCAA Division III Cross Country Championships earned the distinction. The North Central (Ill.) men and the Washington (Mo.) women captured their respective gender’s team titles, while Dhruvil Patel and Paige Lawler blazed the championship trail for their teams with individual titles. If you take one look at the list of All-Americans, you’ll understand why the Cardinals dominated the meet. North Central (Ill.) was the only NCAA DIII program with five All-Americans on its roster as it won by 67 points over Washington (Mo.). Here are those four other Cardinals who earned All-America status behind Patel: Al Baldonado, Chris Buechner, Matt Osmulski and Zach Hird. WashU edged Johns Hopkins by one point for the women’s title (98-99) and it should come as no surprise that each of those programs had a strong number of All-Americans. The Bears and the Blue Jays each had four. Here are those All-Americans from WashU: Lawler, Aly Wayne, Sophie Watterson and Lisa Gorham. Here are those All-Americans from Johns Hopkins: Caelyn Reilly, Tasha Freed, Felicia Koerner and Therese Olshanski. Three programs earned three All-America nods: Haverford’s men, UW-La Crosse’s men and WashU’s men. All three of those programs ended up on the podium. No program, out of the 45 that had at least one All-American on their roster, earned more nods than WashU. The Bears had seven total All-Americans between their men and women. On a conference level, both the NESCAC and the UAA had 10 All-Americans. The WIAC finished a close second with nine, while the Centennial Conference brought home eight. When you break it down by classification, seniors accounted for 42 All-America nods. Juniors totaled 20, while sophomores had 13 and three freshmen were honored.